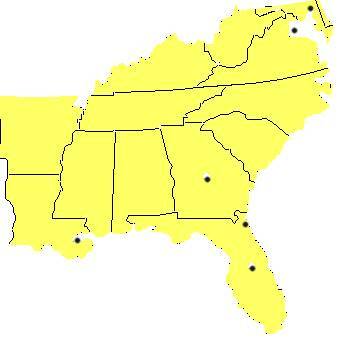 The southern US is a growing section of the US. They to have turned to transit as a solution to the growing traffic problems. I have started the South at Virgina and worked my way southward. AR Fort Smith 0 This streetcar system serves the historic district. FL Jacksonville 16 This monorail system serves as a downtown circulator. FL Miami 38 City has an above ground "subway" complemented with a downtown circulator. Extensions are planned. Tri-Rail Commuter train service is looking at service expansion. FL Orlando 132 You have SunRail Commuter line. Then there is the transportation network for Walt Disney Resort, including the famous Disney Monorail. Ga Savannah 0 A short tourist line along the riverfront area using a Aussie car with an onboard generator. Current shut down. LA New Orleans 83 The famous St. Charles line has been joined with a remake of the Canal St Line. Don't forget to ride the Riverfront line amd the Desire line. TN Memphis 103 The Memphis Trolley utilizes heritage cars. After fires the system was shutdown. But re-opeend in 2018 only on Main Street. There is a plan to reopen the rest of the system. TN Nashville 0 In 2006 the Music City Star Commuter line is to open between Nashville & Lebanon. WV Morgantown 0 This innovative people mover system serves a University.